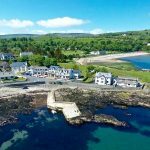 Toast the Coast guides you along the Causeway Coastal Route, from Whitehead to Cushendun, in luxury transport, to appreciate and taste the fantastic food the Antrim Coast Road & Glens of Antrim has to offer. 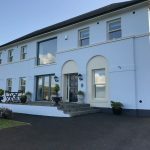 Satisfy your hunger for a journey to celebrate the delicious local food along the Antrim Coast Road & Glens, part of the world-famous Causeway Coastal Route. Enjoy a range of handmade, hooked & harvested food on a full day of tasting and eating. Celebrate what is traditional and newly formed recipes on the best of local foods and delight in the tastes from local award-winning producers. Toast the Coast with the ‘water of life’ and get into the spirit of Northern Ireland. Relax on board your luxury coach, enjoy the stunning views and stories of the Causeway Coastal Route from Whitehead to Cushendun.